Cheap and frugal people have one thing in common: they love to save money. Other than that, there are many distinctions to be made between the two groups. The main difference is their bottom-line priority. Cheap people want to spend the least amount of money possible, while frugal people want to maximize their total value, including the value of their time. Sometimes, it can be difficult to mitigate the two. Take my current situation of needing a new pair of shoes. I could buy three inexpensive pairs at a discount store for less than the price of a pair that I know is comfortable, and was reliable enough to have lasted me three years in the past. The cheap thing to do would be to buy the inexpensive pairs, while the frugal thing to do would be to invest in the more durable ones, even though I'll have to put more money down. But because people on the internet are hilarious, they tend to get inventive with the things they need. 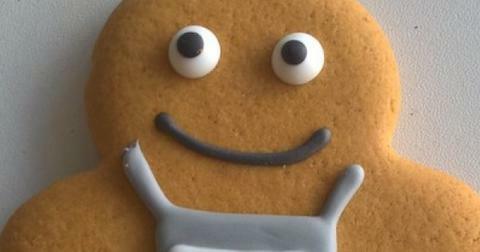 Here are 11 people who took their frugality so far, it's beginning to look a little cheap. 1. This device that makes sure no toothpaste is ever wasted. 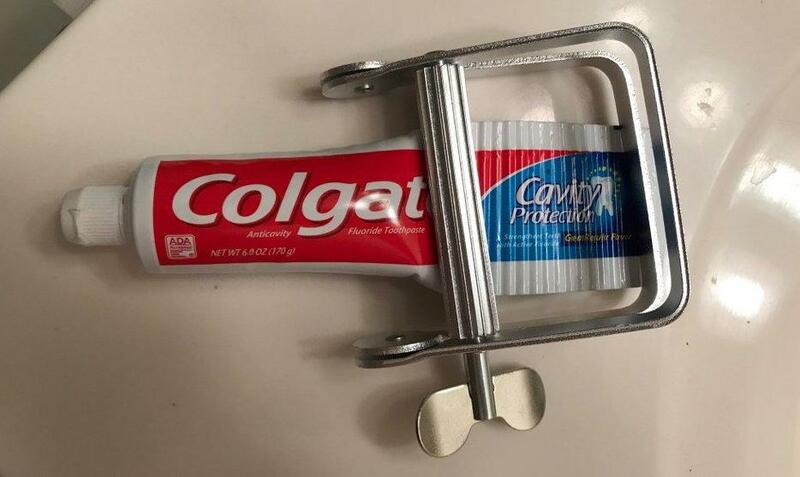 I'm all about rolling the tube on top of itself when the toothpaste is on its last legs, but this rig kind of makes what I do look like child's play. I've seen plastic versions of these available for $1, but this metal thing is really quite impressive. 2. $14 down the drain. 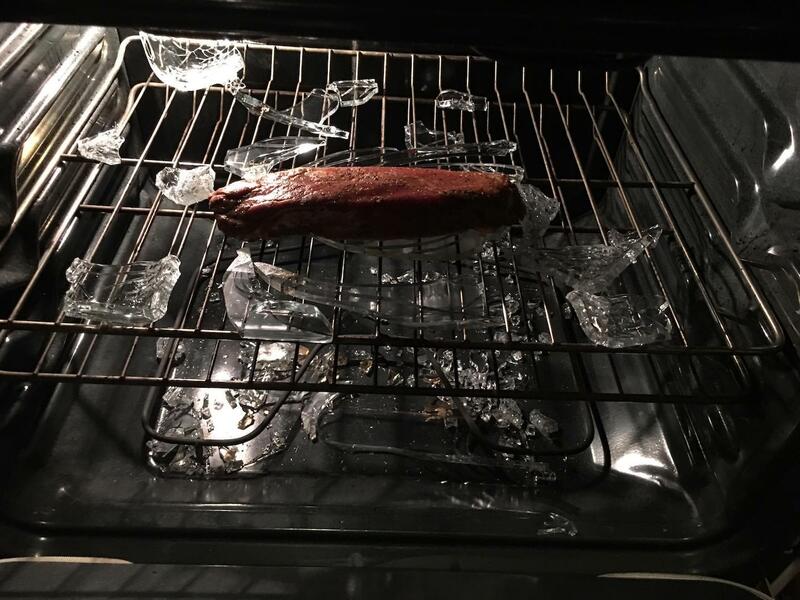 This person spent $5 dollars on a cheap glass baking dish instead of buying a more reliable name brand. The result? A laborious cleaning job, $9 pork loin down the drain, and probably more money spent on take-out. 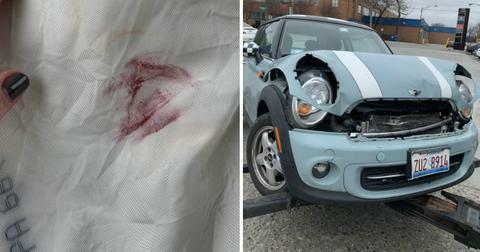 This was penny-wise but pound-foolish, indeed. 3. No, they're not going to PAY YOU. If you've ever been on reddit, you know the platform is home to the biggest smart alecks on the internet. 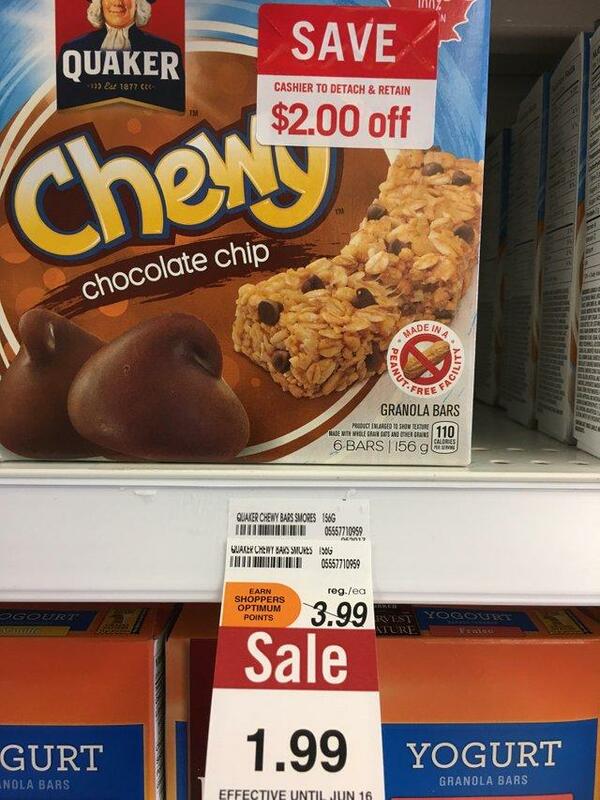 Take this guy, who did the math and thought he deserved to be paid one penny for every box he took. "No, they didn't give me a penny back," he reported in the end. At least he got eight boxes of Chewy's out of this freebie. 4. 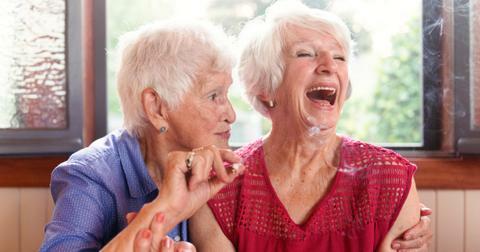 Looks a bit funny, but we trust you. 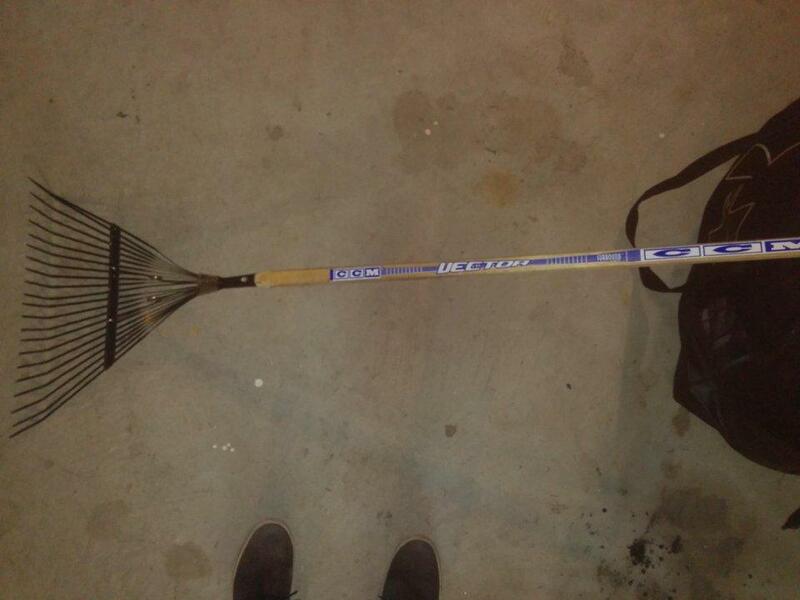 What would you do with a broken hockey stick and a broken rake? If it were me, probably throw them both in the garbage. This guy decided to combine the two for a "much stronger rake," in his own words. I know this picture isn't hilarious to all, but paired with the claim that it's now "much stronger," I can't stop laughing at this post. 5. When Gillette released their state-of-the-art razor, they probably weren't expecting this response. When Gillette released their new-and-improved razor a few years back, they were definitely not expecting this response. The company showcased their latest model, demonstrating its rotating abilities and sleek black comfortable grip. 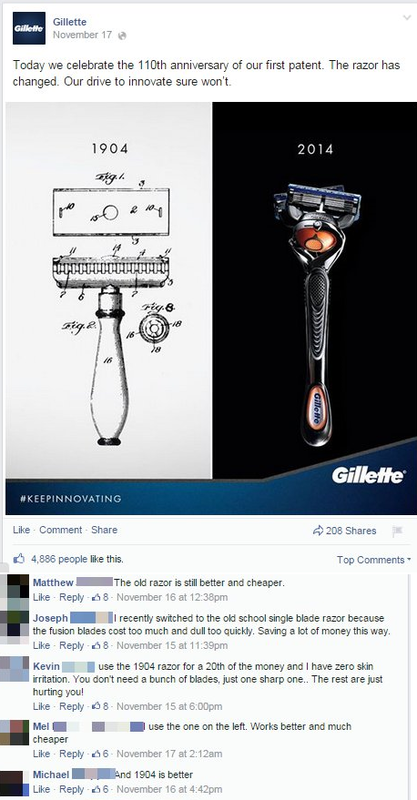 To drive their point home, they marketed the new razor next to a rudimentary drawing of their original 1904 product. But the public wasn't here for it. Frugal (and hilarious) people on Facebook unanimously demanded they bring the old model back. 6. This cheap air filter. 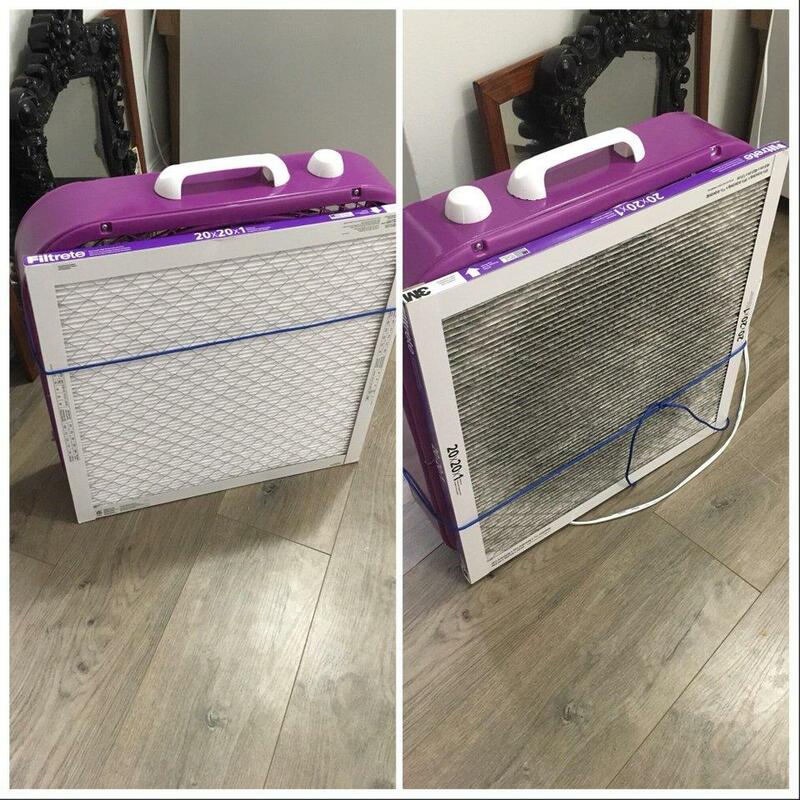 Air filters come in handy to— well, to filter the air. 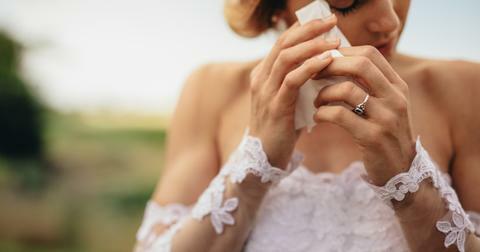 There might be dust, pollen, mold or bacteria floating around your space and these might affect your breathing, especially if you have sensitivities. But since filters can range from about $50 to $1,000 dollars, it can sometimes feel like clean air is a privilege reserved for the rich. Enter this person's rig, which employs a 20-inch fan and air filters that were purchased in bulk. Looks pretty DIY here, but I'm sure there are plenty of ways you could spruce this up yourself. 7. 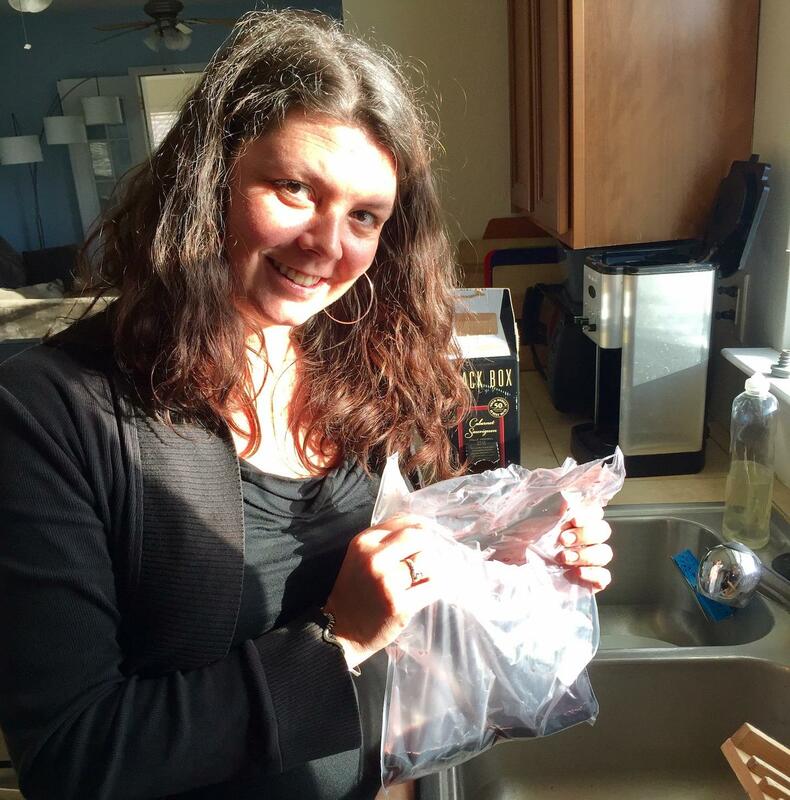 There's always more boxed wine. 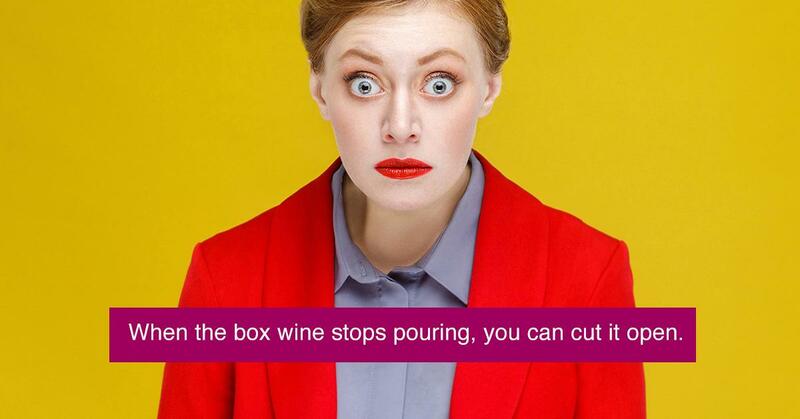 "When the box wine stop pouring, you can cut it open," writes u/ChrisWithWings. "There's another glass or two of regret still in there." 8. No heat unless you've checked these boxes. As someone who runs cold, I'd be terrified to set foot in this house. 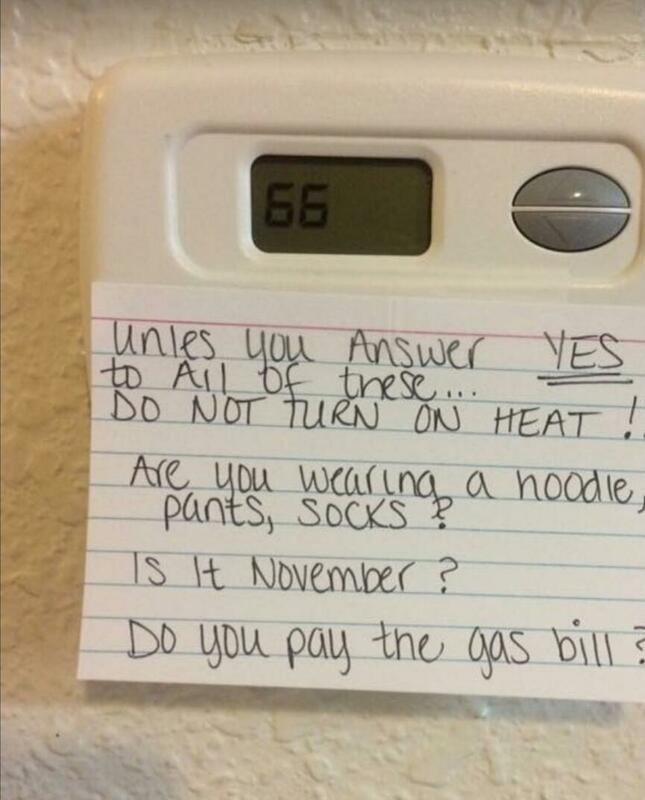 According to the thermostat, whoever makes the rules won't stand for the heat to be turned on unless ALL of these questions are answered in the affirmative. 9. Dog toys can be expensive. As I tell my dog day in and day out, toys from the pet store are a luxury. Usually he just gets whatever stick is lying around in the park, a tennis ball he's had for years, or hand-me-downs from his brother. This person had a hack that I find simultaneously hilarious and abhorrent. 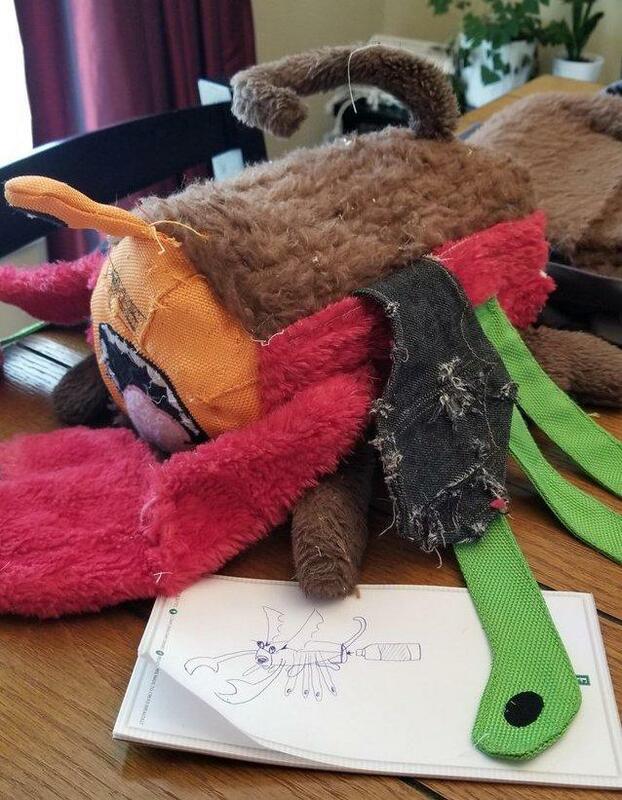 When your dog rips into its stuffed animals (and believe me, it will happen), they suggest saving "all semi-viable parts of 'dead' dog toys," ordering replacement squeakers and making your own "super fun Franken-toy!" Between this picture and the diagram drawn underneath it, I don't know if I'm laughing or crying anymore. 10. Hallowee— I mean, Christmas decorations. Between reusable candy and now (I guess) this, who says Halloween decorations can't be used year-round? 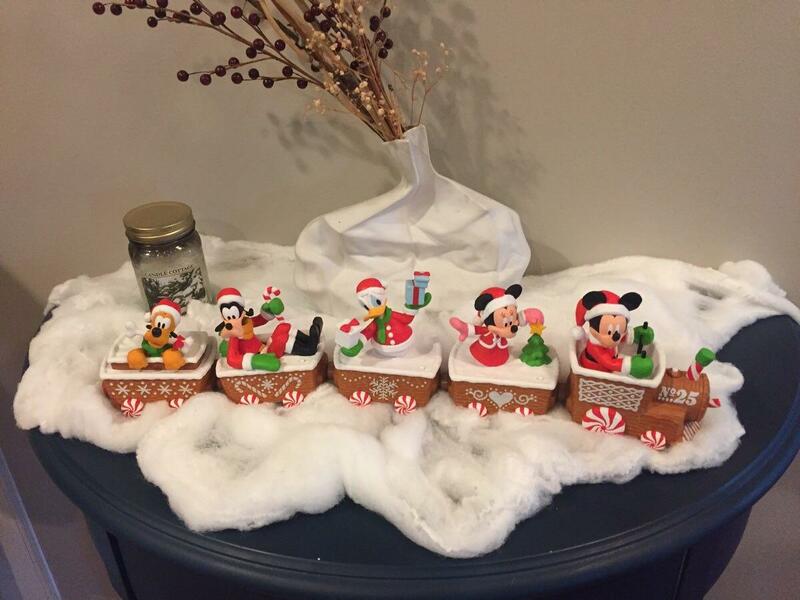 Certainly not this person who bought discounted spiderwebs and turned them into "snow." Something about the Disney characters makes this picture a bonafide 10/10. 11. 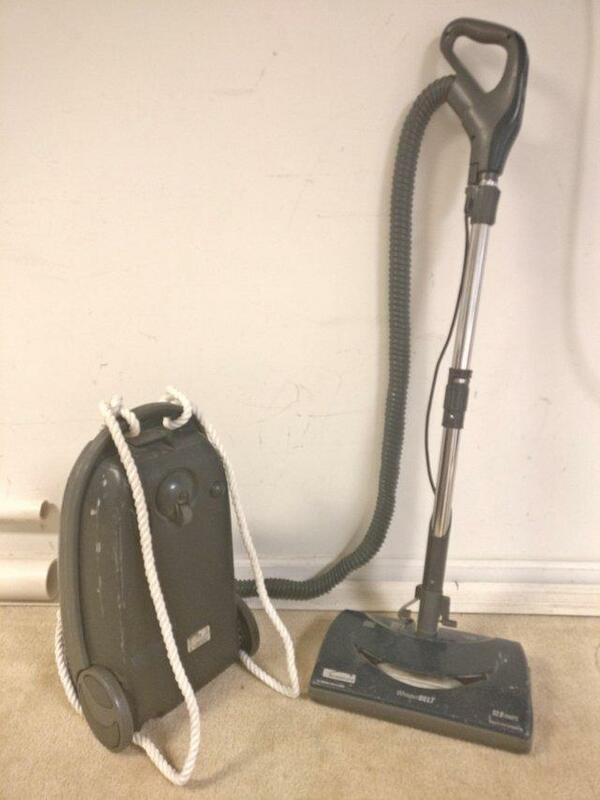 "I really wanted a backpack vacuum..."
Don't ask me for specific pros and cons when it comes to backpack vacuum cleaners because I still roll around the one my mom gave me when I moved to college. But this guy really wanted one. When he looked them up online, he was "off-put" by how costly they were, and decided to try his luck at crafting. A bit of rope and some time later, and he has the backpack vacuum cleaner of his dreams. You have to admit though, it does look hilarious.